Congratulations once again to Brian, winner of yesterday's Person-of-Mystery Contest! 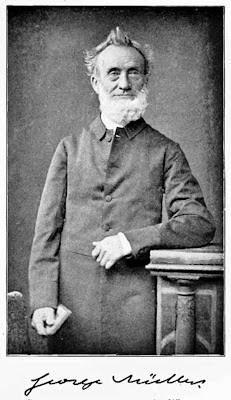 He correctly identified the Prussian missionary George Müller of Bristol, England, as the unidentified man. It's missions week at our church and yesterday morning, the younger boys and I went down to hear a Wycliffe Bible Translators missionary talk about the work that organization does, so naturally missionaries were on my mind. 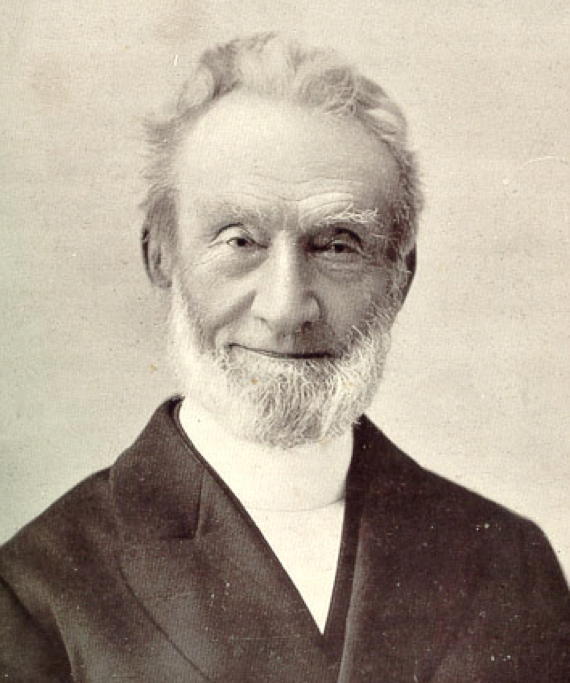 George Müller is one of my favorite missionaries from history. 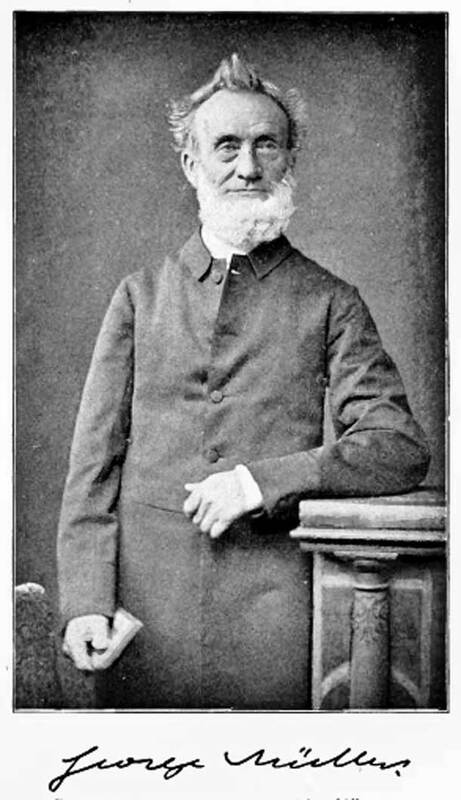 He was a missionary from Prussia to England. 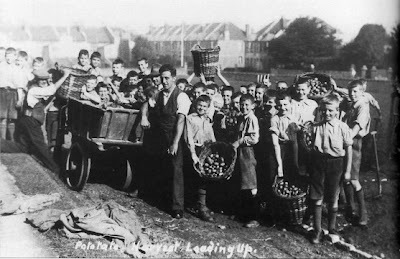 He is best known for starting and running the Ashley Down Orphanage in Bristol England, a model orphanage that took in over 10,000 orphans in over five large houses during Müller's lifetime. He also established a string of 117 schools, benefiting hundreds of thousands more. His orphanage was so well run that at times he was accused of raising the welfare of orphans beyond their "natural station." Amazingly, he accomplished this amazing feat without having ever asked for money or donations. He would pray about his needs and allow God to provide. Imagine that! Being raised above one's natural station...goodness gracious - how shameful! Seems funny today, but back then probably brought untold unfortunate consequences! George Mueller was new to me. We support Wycliff missionaries at my church. Keeley there are several books on his life and at least one video that was produced several years ago. For those who are not book readers, OBSTACLE TO COMFORT is a good documentary on his life. Every time I look at this photo, I have to wonder what caused the goofy looking grin? What do you suppose he was up to? One of the more famous photos of Winston Churchill was shot just after the photographer yanked Winnie's cigar from his mouth! Churchill gave him a look that could melt steel! Just followed the hyperlink you provided to the Wikipedia article about G. M. and skimmed that. Inspirational reading. Thank you for this post. good It is certainly as well advised to get started on with a fresh new Kodi Install, Phoenix addon access to not really just to Phoenix Kodi addon, nice. good it is not targeted on one particular spot of content material - Install salts on kodi It is usually the primary among open up resource nice. good a few great things about viva in various methods. official latest app that will be right now there in this free of charge video tutorial editor. VivaVideo App nice. good If you want to make use of iTube application on your COMPUTER, iTube Download In between these Music applications we have actually nice. good as please keep visiting Android Apps for PC blog site. VivaVideo This article will certainly guide the new users best.